Both of these teams might be out of the running for first, but the season’s not over quite yet. The showdown for third place in the NA LCS playoffs between Echo Fox and Clutch Gaming begins today in Miami. It’s true that both of these teams can’t advance to first place anymore, but it still feels a lot better to say you placed third in the split over fourth. Expect both of these teams to show up today with their typical aggressiveness, and hopefully, it’ll even go all five games. This article will be updated live as the third-place match progresses. Dardoch dives mid tower for first blood on Febiven, a brawl ensues, and both teams end up with more kills. Echo Fox has an early gold lead at the 13-minute mark. They’re up about 2,000 gold and one kill. LirA flash-ults Dardoch to interrupt Rift Herald summoning at 15-minute mark, then a brawl ensues. Echo Fox still up one kill after a couple minutes. Echo Fox locks in their third dragon. They’re now at two Oceans and one Mountain over Clutch’s zero. Echo Fox claims Baron at the 23-minute mark mostly uncontested. 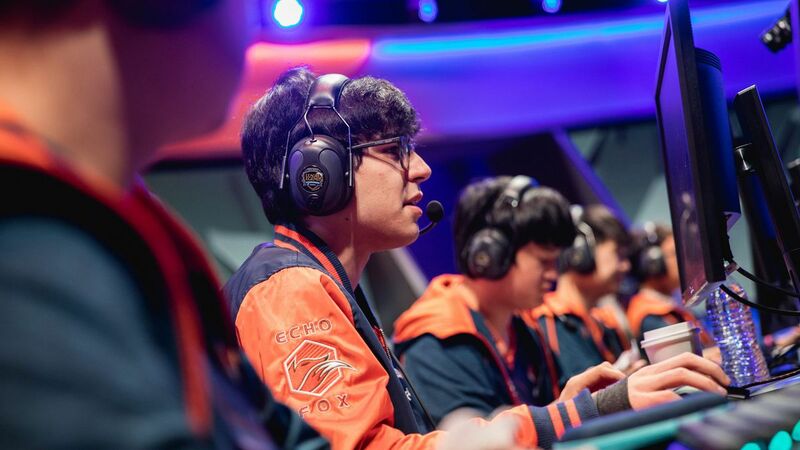 After baron, Echo Fox commands a 7,000 gold lead. Echo Fox pushes through one final time to close the game before 30 minutes. A level one invade by Echo Fox secured first blood on Lira. Lira died again shortly after from a collapse by Adrian and Fenix, and fell extremely behind Dardoch. Dardoch ran into the top lane to kill Solo. An early skirmish top side gave Echo Fox two kills to one. Echo Fox went up six kills, two elemental drakes, and almost 5,000 gold at 10 minutes. Clutch Gaming’s jungle was completely controlled by Echo Fox. Echo Fox cracked the inhibitor turrets at 19 minutes. Echo Fox aced Clutch Gaming in their base to end game two at 21 minutes. Echo Fox accept a chronobreak back to 6:55 after a knock up bug makes Huni unable to attack during a top side skirmish. Echo fox win the reverted teamfight to earn two kills, including first blood. Daroch finds kills in both mid and top lane. Clutch Gaming kill Fenix to find their first kill. Huni and Fenix find solo kills onto their lane opponents at almost the same time. Echo Fox secure Baron at 22 minutes. Clutch chase and kill Huni, but lose two inhibitors in return. Echo Fox use their remaining Baron buff to end the game at just under 25 minutes. With this game win Echo Fox end the NA LCS 2018 Spring Split in third place. Malcolm Abbas contributed to this article.